HOOQ the largest Video on Demand service in South-East Asia -today announces their latest addition to the judging panel of HOOQ Filmmakers Guild. Representing the Philippines on the judging panel is renowned director Erik Matti who will lend his hand in the selection progress of this South-East Asia-wide project that aims at turning the most imaginative TV series ideas of filmmakers into reality, thus celebrating Asia, the nation from which great TV arises. "I believe the Philippines still has a lot of undiscovered filmmakers out there just waiting for their big break. The HOOQ Filmmakers Guild, will give these aspiring filmmakers a chance to see their ideas become reality, and hopefully, inspire others to pursue their dream,” says Director Erik Matti. Matti is the third judge announced in the region that will helm the selection process of the five pilots to be produced and the full series thereafter. The other 2 judges announced are from Indonesia Mouly Surya, a critically acclaimed director who recently screened at Director’s Fortnight in Cannes and Nicholas Saputra, an award-winning actor and documentary producer. backyard. HOOQ. Filmmakers Guild does just that, making Asia the nation from which great TV arises!” Said Chief Executive Officer of HOOQ, Mr Peter Bithos. HOOQ. calls for film professionals, be it directors, producers or script writers to send in scripts and treatments for a TV series idea they have. 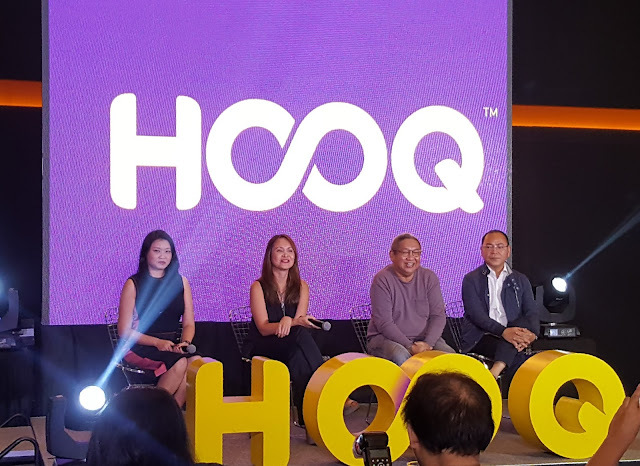 From these, the five best scripts, regionally, will be given a funding of USD$30,000 to be converted into a pilot episode that will debut on HOOQ. Submissions can be from Singapore, Thailand, Indonesia, India, Philippines, Vietnam, Malaysia, and Cambodia. The best out of these five pilot episodes, decided by HOOQ subscribers and a star-studded judging panel consisting of the top film talents around Asia as well as Hollywood (to be announced), will be converted into a full series produced and aired on HOOQ. The search for the HOOQ Filmmaker Guild began June 5, 2017, and will be open for entries until August 15, 2017. Applicants must be either in film school or working as professionals in the film industry with prior film production experience. They are to submit the script and treatment for a mini-series or a full series with a maximum of 13 episodes for a single season in order to qualify. There will be no restriction to the genre, however, submissions and productions must be in the language of the applicant’s country.